You tiptoe into the kitchen late one night, hoping to enjoy a delicious late-night snack. You reach for the handle of the refrigerator, listening closely for sounds of movement from anyone else in the house, when suddenly, you know: you're not alone in the kitchen. You flip on the light and spin around, and that's when you spot it-the cockroach scuttling across the floor. Cockroaches are one of the nastiest pests in Los Angeles, and they're everywhere. Thousands of homes and apartment buildings in LA have cockroach infestations, and these creepy crawlies are more than just gross-they can spoil food and even cause allergic reactions and asthma symptoms, especially in children. Want to learn about this pest and how to get rid of it? Read more below. Why Are Cockroaches a Problem? You'll find four major species of cockroaches in LA-the German cockroach, the oriental cockroach, the brown-banded cockroach, and the American cockroach. Like all species of this insect, LA cockroaches are drawn to moist, humid, dark areas. Of course, you can find cockroaches just about anywhere, including in homes and in multi-level housing buildings, schools, hospitals, restaurants, offices-anywhere with food or storage areas. The dirtier the location, the more likely you'll be to find an infestation. Cockroaches are pesky. They can damage paper and fabric, create stains, and even stink if there are enough of them in one area. They can transmit salmonella because of their contact with human excrement in sewers, causing food poisoning and spreading bacteria. As mentioned above, they can also provoke asthma and allergies, especially in young children. How Can You Identify a Cockroach Infestation? There are a lot of good reasons to avoid places with cockroach infestations. The creepy-crawliness aside, cockroaches are a danger to your health. But what if the infestation is in your own home? You can usually spot cockroaches pretty easily. They leave clues, including droppings and stains, and you can usually catch them scuttling around, especially if there are a lot of them. Cockroaches are social, and if you see one, you can be sure that there are many others lurking about. Cockroaches are nocturnal, so you're most likely to catch them at night, especially if you flip on a light in a dark room. Cockroaches avoid light, so they'll start moving as soon as the light turns on as well as detecting air current changes with their cercie, cockroaches think with their behinds, in a manner of speaking. On their posterior ends, cockroaches have a pair of appendages called cerci. Fine hairs on the cerci detect air movements. Nerve cells connected to the hairs help the cockroach make sense of the information. Cockroaches like tropical environments, so if you know that you have cockroaches on the premises and have a place in your home that is often warm, dark, and wet, you're most likely to spot them there. If you don't have cockroaches around and want to avoid them at all costs (which most humans do), there's something very important you can do: keep your house clean. Wash your bedding, clothing, and textiles frequently. Sweep and vacuum the floors at least twice a week. Do not leave food crumbs on the floor. Wash your dishes immediately instead of leaving them in the sink. Clean and disinfect areas where food has been prepared. Keep storage areas organized, clean, and dry. Empty the trash and take it to the dumpster every day. Do not allow clutter, clothing, and other possessions to pile up. Clean and disinfect the bathroom. A clean home eliminates a lot of things that cockroaches are attracted to, like food and bacteria. You might have to work a little harder to keep your house clean than you would in other places of the world, where cockroaches just aren't a problem, but trust us-you don't want cockroaches in your home. What Can You Do If You Already Have an Infestation? Even if you keep your home spotless, there's always a chance that cockroaches will find your home attractive. After all, this is LA, and Southern California's warm, tropical climate is the perfect place for cockroaches to live and breed. One of the most common species of cockroach is the German roach which unlike the others, is brought in from outside sources such as grocery stores, schools and other places food is found. If you have an infestation in your home, the very first thing you should do is call an exterminator. Your local extermination company knows which chemicals to use to get rid of bugs while still keeping your family and pets safe. 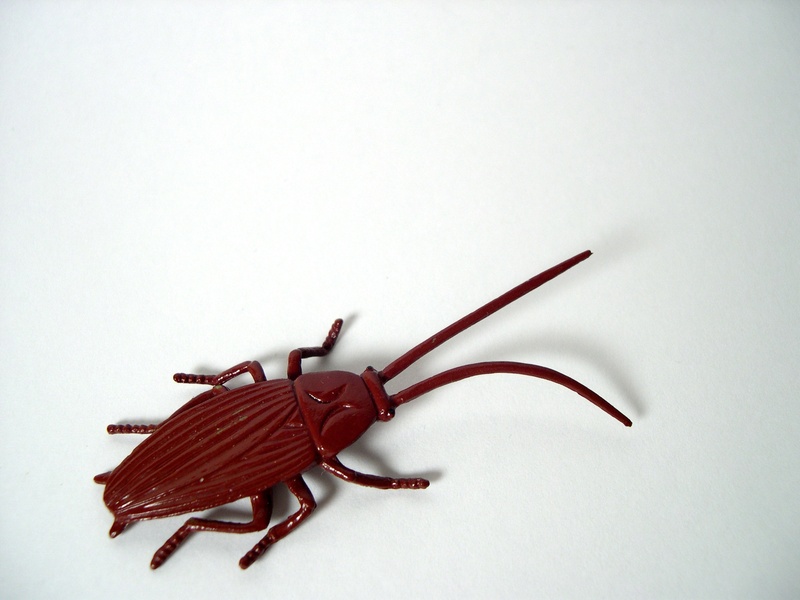 Cockroaches are notoriously difficult to eliminate completely, and an exterminator might be the only way to protect your home from these nasty pests. Eliminate the cockroaches' food and water sources. The cockroaches will come back if they can find an easy food and water source, so try to discover where the bugs are getting their daily supply and cut it off. Find and destroy hiding places. Look for cracks in your walls, alongside door frames, and beneath cabinets. Seal these cracks to make it difficult for cockroaches to come back. Use bait and traps. This will help you monitor the cockroach population after the exterminator sprays. These tricks will help you to get rid of cockroaches now and avoid them in the future. From here on out, you can enjoy your midnight raids on the refrigerator, knowing that there won't be a cockroach watching your every move. We all agree-cockroaches aren't really something you want in your home. Call your local exterminator today and get your infestation eliminated.